Being a sports agent can mean working with famous clients and getting front-row access to some of the biggest sporting events. But agents working in the field say the job isn't all perks and glamour. Three agents from Wasserman, which represents over 1,700 athletes in over 50 sports, say it's about forging personal relationships and always being available. "It sounds cliche but this is personal," said Lindsay Kagawa Colas. "Our clients and our goals are central to the way we organize our lives. We don't have weekends." Wasserman agents represent athletes like the Oklahoma City Thunder's Russell Westbrook, Giancarlo Stanton of the New York Yankees and WNBA player Diana Taurasi. They say the job involves negotiating contracts and securing the best deals for clients, but it's so much more than that. Being a sports agent is essentially an on-call job that requires agents to sacrifice their personal time, travel extensively and fill whatever role is missing from an athlete's life. It can mean taking care of a player's every need. Colas' clients include Ibtihaj Muhammad, an Olympic fencer, and basketball stars like Taurasi and Maya Moore. She oversees a WNBA practice that reps 12 active #1 draft picks and six MVPs. Colas also negotiated Taurasi's landmark deal with a Russian basketball team for $1.5 million. Colas said the deal came about because the team wanted the best and were willing to pay for it. "With her achievements, swagger, championships, quotability -- if [Taurasi] were a man she'd be the most famous athlete in the entire world," Colas said. "She's a woman though." Colas has chosen to work primarily with female athletes, which means her job description often includes having intimate conversations about family planning. She talks to her clients about egg-freezing, IVF and in some cases whether they would be the ones to carry a baby. She's involved in finding doctors and discussing how getting pregnant may or may not be supported by the industry. Her job has also meant helping client Brittney Griner of the WNBA through a very public divorce, texting with clients in the middle of the night after an injury and being the officiant at Taurasi's wedding. "We alleviate their stress but ultimately they have to perform," Colas said. NBA agent Thad Foucher represents a roster of NBA players like stars Russell Westbrook and Anthony Davis. He said negotiations make up a small portion of his job because players may only have two or three contracts in a career. 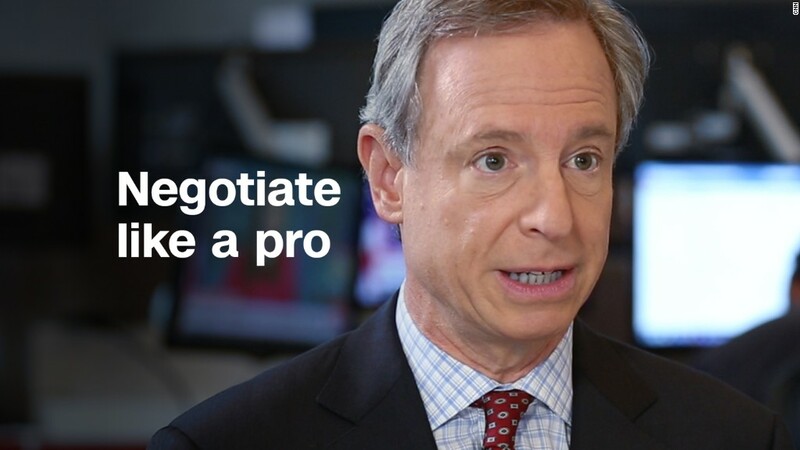 The biggest part of his job is just making sure clients even get to the negotiation phase. He does this by making sure they're healthy and that he's providing the support they need to excel in their sport. "I am always working to ensure longevity in the league," he said. That includes helping them with nutrition, preparing them for games and also making sure they're being responsible members of their team. Westbrook's fashion-forward nature has also required Foucher to step beyond the world of sports and engage with high-end design houses like Chanel and Louis Vuitton. "The fashion deals came because of who Russell is," Foucher said. "He was not concerned with what people say about the way he dressed. With his style, he's showing his creativity, that he's not just a guy who wants to throw on a black suit with a white shirt." While designer deals might not be the usual territory of most sports agents, it's yet another example of how full-service agents must be. MLB agent Joel Wolfe was drafted by the Oakland A's and spent six years in the minors before taking law school classes night to become an agent. He understands first-hand what it's like to go through the system. While Wolfe represents some of the biggest names in Major League Baseball, like Stanton and Nolan Arenado, the clients who need him the most are the minor leaguers. Wolfe said it can be tough because they're experiencing so many changes, both emotionally and physically. "There can be incredible amounts of pressure on [players] from the media, their teams, their families and that they put on themselves," Wolfe said. "There aren't a lot of people they can turn to." Wolfe is one of the people they can. He helps players adjust to new teams by spending time with them and their families when they move to a new city. He also has to be able to ask tough questions and help players decide things like whether and when to have surgery, what to include in a pre-nup and whether to turn down a lucrative contract because the terms are unfair. One of the most extreme examples from his career came when when Wolfe helped Chase Utley, a 6-time All-Star and World Series champ, who had been told by doctors that his career might be over. Utley had sustained a number of injuries as a player. "He could barely walk up and down the stairs. He was on a little stool at spring training taking in foul balls and it was hard to watch," Wolfe said. "He came to me and was like we have to fix this. We crisscrossed the country and found a solution. It took awhile but now at 39 years old, he has a 2-year deal with the Dodgers," he said. "So much of what we do never sees the light of day if we do it the right way," Wolfe said.